Train ferries were not a phenomenon in the 1920s. They had operated in Scotland across the Firth of Forth and the Firth of Tay in the mid nineteenth century but by the end of the century, bridges proved more effective. Late in the First World War, with the constant pressure to move equipment back and forth across the English Channel, train ferries again seemed the ideal form of transport. 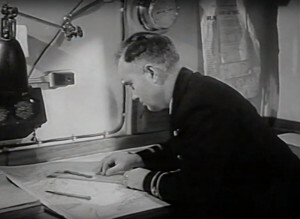 Richborough and Southampton were chosen as bases, and three ferries were commissioned by the British Government – two from Armstrong Whitworth and the other from Fairfield Shipbuilding and Engineering. Train Ferries nos, 1, 2 and 3 began sailings in early 1918 and operated for over a year before their work was done and they were laid up at Immingham. There seemed to be no obvious further use for the equipment at Richborough and Southampton until the LNER and Belgian State Railways negotiated a train ferry service from the port of Harwich to the port of Zeebrugge. 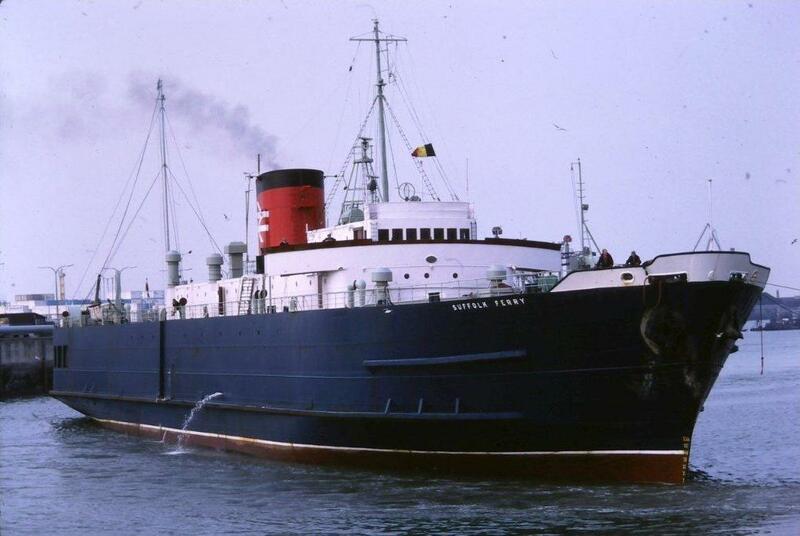 Great Eastern Train Ferries ltd was established in Britain and the Societe Belge Anglaise des Ferry Boats in Belgium. 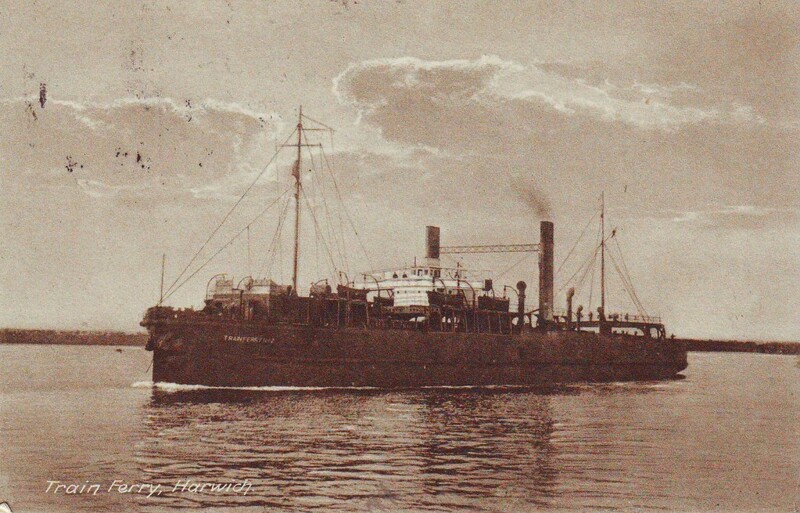 The British company supplied the ships whilst the Belgian provided the rolling stock; the plan was to use army surplus infrastructure used by the War Department still in place at Southampton and Richborough. The Southampton terminal was loaded on to two barges for the journey to Harwich. On 4th September 1923 when 2.5 miles from the Cork Light Vessel the cargo moved resulting in both barges sinking. 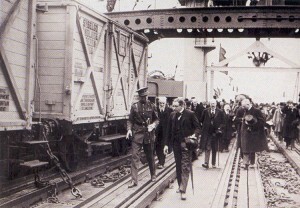 It was not until October the linkspan were recovered and beached at Harwich. The towers and machinery could not be salvaged and were blown up so as not to be a hazard to shipping. The Richborough towers and machinery were sent to Harwich as a replacement and together with the linkspan from Southampton were erected on their current site. 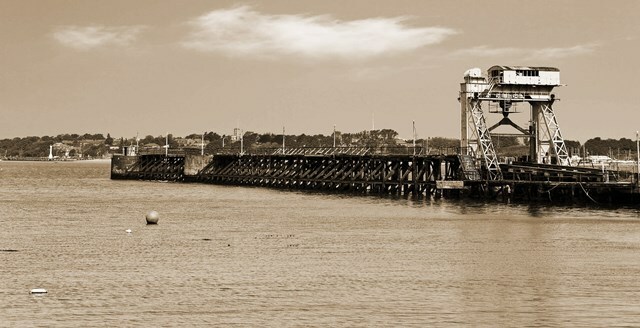 Although the railway had moved its activities from Harwich, down the river to Parkeston Quay in the 1880s, the site chosen for the new Train Ferry terminal was close to the railway lines at Harwich next to the existing Trinity Pier. The decision was welcomed by the people of Harwich who endured recession intermingled with prosperity. As a naval base in World War One, the town prospered, but the 1920s was a time of difficulty. The machinery had to be brought from Southampton and the decision to bring the equipment by barge to Harwich ended in disaster, with the barge capsizing and the equipment seemingly lost. The linkspan was salvaged but, luckily, the Richborough towers and machinery were still available and sent as replacements, without further loss. 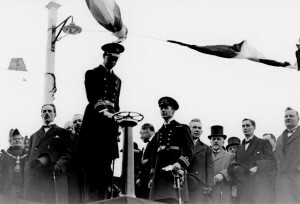 The opening ceremony (24 April 1924) was carried out by Prince George (later the Duke of Kent, killed during World War Two). 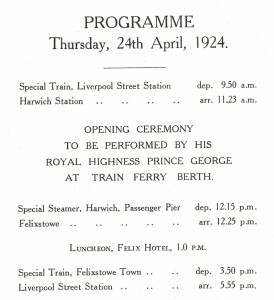 The Prince arrived at Harwich Town Railway Station were where he was received by the High Sheriff of Essex and introduced to the Lady May, Mrs Hill, along with other members of the local corporation accompanied by directors of the Great Eastern Train Ferries ltd. There was the usual guard of honour and the prince inspected them along with local Guides and Scouts. The party walked the short distance to the train ferry terminal along the pavements lined with school children. 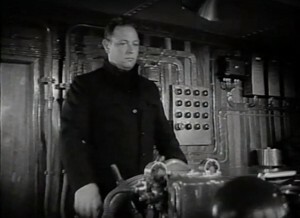 The Prince and entourage went on to the long wooden arm of the berth and after due ceremony he pressed the button which started the machinery on the ferry. The part then went on board and on to the Captain’s bridge where they watched a steam train running a number of trucks from the siding directly on to the ferry. 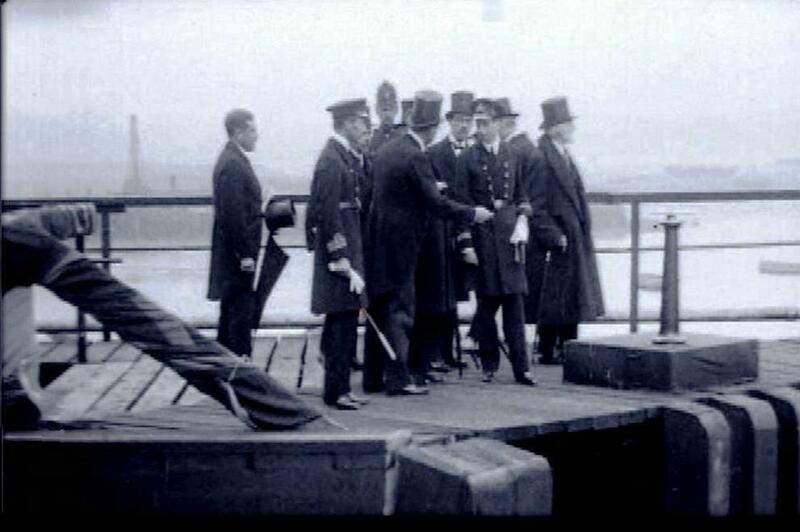 The Prince then walked along the quayside to the GER paddle steamer Norfolk, where he was taken to the Hotel Felix across the river at Felixstowe where the party lunched before returning to London. The Prince hoped that Harwich would benefit from the ferry. Train Ferry no. 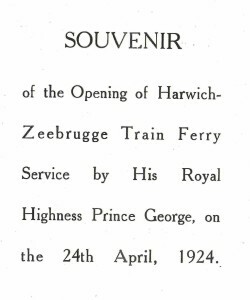 2 (under Captain Grigor) left Harwich for Zeebrugge that evening to be followed by no.3 the following evening. Many of the Train Ferry officials then left for Belgium on the evening sailing of the GER steamer Roulers to witness the corresponding ceremony at Zeebrugge by Prince Leopold. Train Ferry no. 1 joined the service in mid-July 1924. At this time the passage from berth to berth was between 9 and 10 hours and with three ferries available, one could be taken out for servicing without affecting the daily sailings. In 1924, 26, 00 tonnes of cargo was transported from Zeebrugge into Harwich and by May 1928 this had increased to 158,000 tonnes. Train Ferry Nos. 1, 2 and 3 were designed by W.G. Armstrong-Whitworth and co. in Elswick, Newcastle. No. 3 was built by Fairfield Shipbuilding Co. to Govan on the Clyde. They had a loaded draft of 10’ – 6”, had four oil fired boilers, were equipped with two screws and rudders, and had a cruising speed of 12 knots and a maximum speed of 14 knots. The hull was divided into ten watertight compartments. Forward ballast tanks were equipped with 158 tons, at the stern of 132 tons (and on each side of 45 tons) The side tanks or heeling tanks were never fitted. With these tanks the boat was trimmed during loading and unloading. They had a single open deck which were equipped with four tracks: the two inner of 95 meters each; beyond two tracks of 72 metres each. This gave 334 metres effective length which 54 two-axle wagons. Armament consisted of four 12-pdr guns and “miscellaneous”” anti-submarine weapons)no, just the guns. Initially there were two high funnels on each side that were connected at the top with a lattice support. At the back was a “docking bridge” (with which the boat was controlled at the building). The docking bridge was used to allow an officer positioned aft during berthing to assist the Master handling the ship from the Navigating Bridge. It was also equipped with wheel and telegraphs for handling the ship in an emergency should the navigating bridge become unusable. However, the depressed economic conditions of the late 1920s and early 1930s affected both the volume of traffic and the revenue, and it was absorbed in the LNER in 1933. Traffic started to increase again by 1935, but operations ceased on 1 September 1939, when the ships were taken over by the Navy to transport tanks, guns, ambulance trains and wagons for the B.E.F. During hostilities. Train Ferry no.2 was abandoned at St Vallery. Train Ferry no. 1 became HMS Iris and no. 3 became HMS Daffodil, both being used to ship landing craft. The latter struck a mine and was sunk in March 1945 off the Normandy coast. Train Ferry no. 1 survived and was refitted and reconditioned, entering service as the Essex Ferry when sailing resumed in June 1946. Zeebrugge had suffered severe damage during the war, but was hastily rebuilt, although submerged wrecks gave only a one-hour window of opportunity either side of high tide to enter or leave the terminal. At the outbreak of the Blitzkrieg (May 1940), they were transferred to Southampton. After the debacle in France had to TF2 on 13 June 1940 the Highland Division go evacuate in St-Valéry-en-Caux. Because of the fog arrived TF 2 a day late, the message that the coastal batteries had already been conquered by the Germans was missed, the ship came under fire, caught fire, was cleared and sank a mile off the coast with loss of half of the crew. In September 1941, the two remaining ships where converted into Landing Ships. On deck were either 13 LCM-1 (Landing Craft, Medium), which weighed less than 16 tones each, stored, or 9 LCM-3. The LCM’s were on trollies; at the rear was a ramp along which this could be left to water. Immediate post-war trade was good and the train ferries became an attraction at Harwich as people could get close to view the trains operating at the rear of the ferry. Essex Ferry was launched on 24 October 1955. Completed in January 1957, she made her maiden voyage from Harwich to Zeebrugge, Belgium on 15 January. She could carry 38 railway wagons and had accommodation for twelve passengers. She mainly served on the Harwich – Zeebrugge route, with a short spell of service in May 1972 on the Holyhead – Dublin route. Towards the end of her service she was transferred to the Harwich – Dunkerque route. Essex Ferry was withdrawn from service in 1981 and laid up At Harwich. 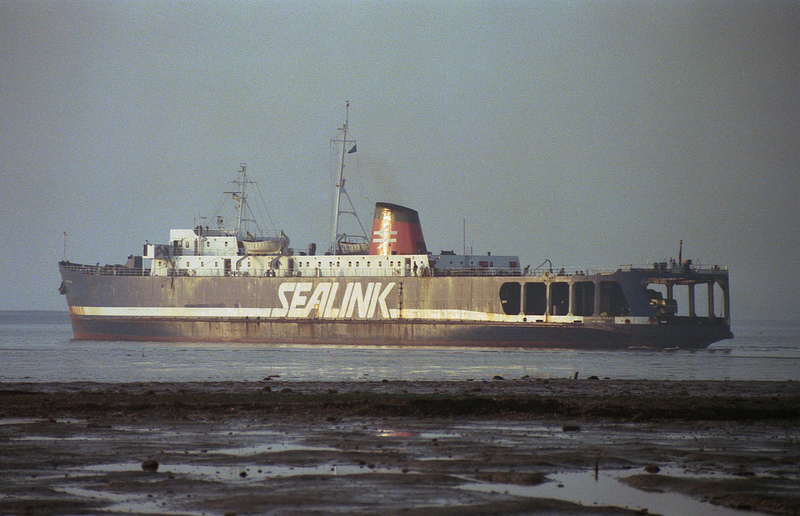 In 1983, Essex Ferry was sold to Medway Secondary Metals for breaking, departing under tow for Rainham, Kent on 27 April 1983 and arriving two days later. She was initially reduced to deck level and renamed Essex Ferry Pontoon. She was used in the salvage of the Norwegian semi-submersible drilling rig Alexander L. Kielland which had capsized in March 1980. Following this work, she was finally scrapped. Built in 1947 by John Brown & Co. Ltd., Clydebank and Launched on the 7th May 1947, the Suffolk Ferry had diesel engines instead of steam boilers, and could get 14 knots instead of the 10 knots of Essex Ferry and had facilities to carry 12 passengers in six cabins. 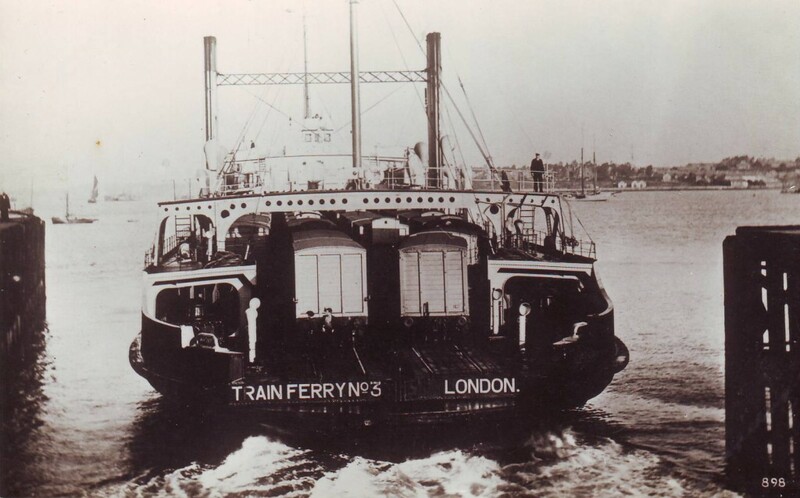 Suffolk Ferry was the first diesel powered ship built for the London and North Eastern Railway. Registered at Harwich, she usually operated on the Harwich – Zeebrugge route, the crossing taking nine hours. Suffolk Ferry entered service in August 1947. With the nationalisation of the railways in the United Kingdom in 1948, ownership of Suffolk Ferry passed to the British Transport Commission. 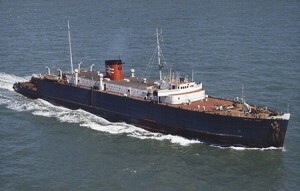 On 2 January 1956, the Liberian tanker Melody ran aground off Vlissingen, Zeeland, Netherlands. 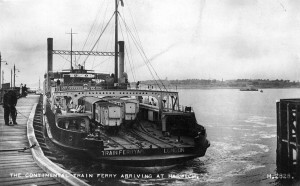 Suffolk Ferry was one of three vessels which went to the assistance of Melody. On 6 May 1961, Suffolk Ferry rescued all four people from the British yacht Sugar Creek in the North Sea off the Cork Lightship. In 1963, ownership passed to the British Railways Board. On 8 October 1965, Suffolk Ferry rescued nine of the thirteen crew of the German coastal tanker Unkas, which had collided with the Swedish cargo ship Marieholm in the North Sea 35 nautical miles (65 km) off the coast of the Netherlands. Unkas was later towed in to Rotterdam. Ownership passed to the British Rail subsidiary Sealink in 1979. 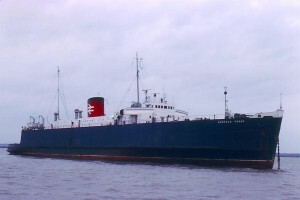 She was withdrawn from service in September 1980. Suffolk Ferry left Harwich Harbour for the last time on Tuesday November 25 1980 on her way to be broken up in Belgium, as she passed Parkeston under tow, other Sealink ships blew their whistles to say goodbye to the “Grand Old Lady” of the Harwich Fleet. Norfolk Ferry was launched on 8 March 1951. Built for the British Transport Commission and operated by British Railways, she made her maiden voyage on the Harwich – Zeebrugge route on 17 July 1951. On 5 July 1960, Norfolk Ferry rescued the five crew from the German yacht Tagomago, which had been dismasted in the North Sea 30 nautical miles (56 km) off Harwich. In January 1963, she twice returned to Harwich due to a 98 long tons (100 t) casting coming loose. She rescued four people on 20 September 1964 after their yacht capsized 3 nautical miles (5.6 km) off Felixstowe. 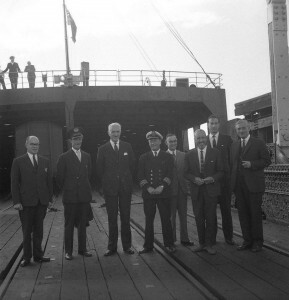 Norfolk Ferry served on the Harwich – Zeebrugge route until February 1972, when she was put into service on the Harwich – Dunkerque route, having been modified to enable her to use Dunkerque in 1967 and inaugurating the service on 2 October of that year. The Cambridge Ferry was introduced in 1963. The ferry crossing was reduced to seven hours and there were often three sailings daily, although there were also periods when the ferries were laid up in the river. Cambridge Ferry was built by Hawthorn Leslie and Company, Hebburn, Northumberland built at a cost of £700,000, the ship was launched on 1 November 1963 and was completed in December 1963. Her port of registry was Harwich, Essex. She could carry 38 railway wagons or 200 motor cars, and 100 passengers. Cambridge Ferry made her maiden voyage from Harwich to Zeebrugge, Belgium on 2 January 1964. In 1972, Cambridge Ferry and Essex Ferry made ten voyages between Harwich and Dublin, Ireland to deliver new rolling stock to CIÉ. In April and May 1975, Cambridge Ferry operated between Stranraer and Larne. In 1976, she was used to transport motor vehicles from Falmouth, Cornwall to Zeebrugge for use in the film A Bridge Too Far. In 1977, Cambridge Ferry was extended at a cost of £91,000. This was to enable her to carry an additional 50 motor cars, and use the docks at Dunkerque, France. 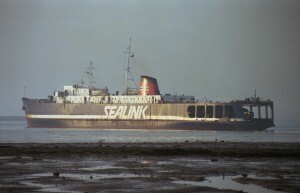 She was registered to Sealink on 1 January 1978. In May 1980, Cambridge Ferry entered service on the Holyhead – Dun Laoghaire route following the breakdown of St. Columba and her replacement Avalon. She had been in dry dock at the time and was pressed into service whilst replacement ships were sourced and repairs effected. In April 1982, she was withdrawn from the Harwich – Zeebrugge route. From May – November 1982, Cambridge Ferry served on the Holyhead – Dun Laoghaire route. In December, she operated on the Dover – Dunkerque route, returning to the Harwich – Zeebrugge route in January 1983. In 1987, she was refitted at Immingham, Lincolnshire, including modifications to make her more suitable for use at Dover, from where she operated from February 1987. 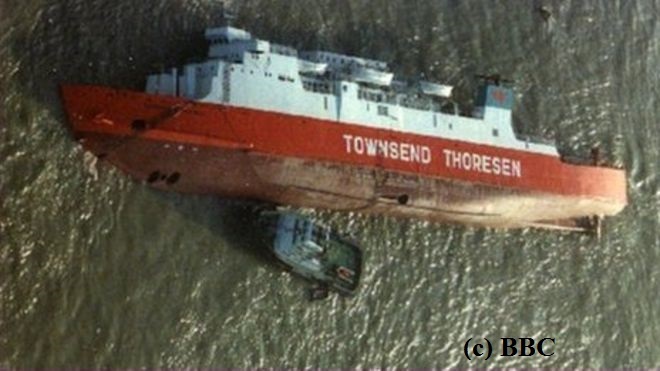 On 1 May 1987, she collided with Saint Eloi off Dover. Both vessels were severely damaged. Repairs to Cambridge Ferry cost £78,000. She was withdrawn from the Dover – Dunkerque route on 31 December 1987, but was reinstated from September to mid-October 1988 before being laid up in the River Fal. In November 1988, she was put into service between Rosslare and Fishguard. Ownership of Cambridge Ferry was transferred to Stena Line in January 1990. She was laid up at Milford Haven in March 1990 and put into service the next month between Stranraer and Larne. She returned to the Rosslare – Fishguard route between June and September 1990 and also between December 1990 and January 1991. 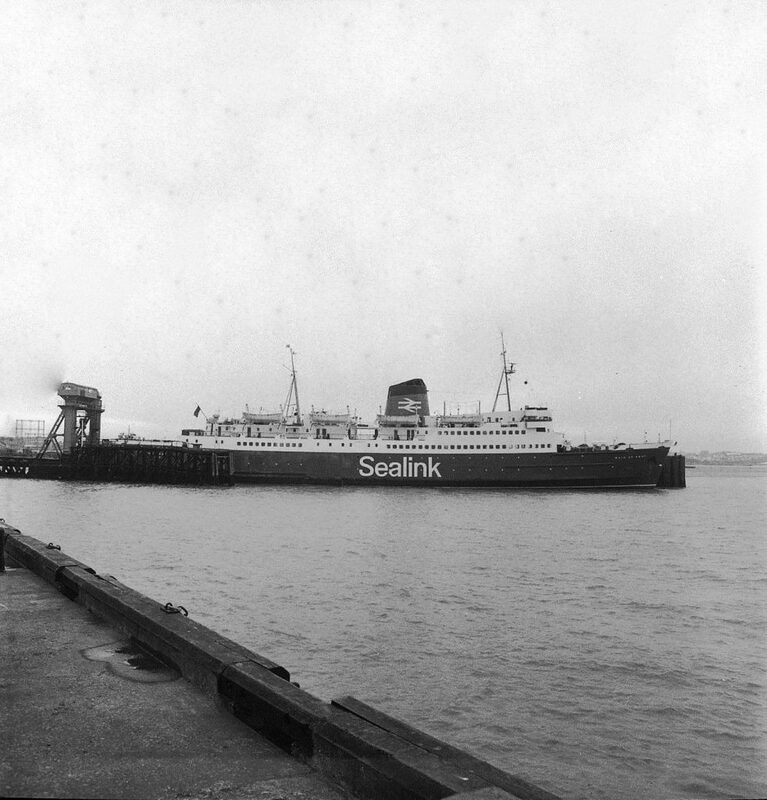 She operated the Holyhead – Dun Laoghaire route in February 1991 whilst Stena Cambria was under repair before returning to the Stranraer – Larne route. She was laid up at Fal River in summer 1991. Cambridge Ferry was withdrawn from service on 15 March 1992 and was then laid up at Milford Haven. On April 21 1992, Cambridge Ferry was sold to Sincomar Malta Ltd and was renamed Ito Uno. She departed from Milford Haven on 21 April 1992 for Valletta, where she underwent a rebuild. 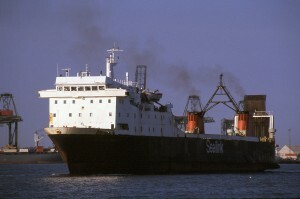 She was renamed Sirio in 1993 and was laid up at Bari, Italy. Sirio was reflagged to Panama in 1998. 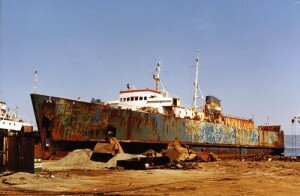 She was broken up at Aliaga, Turkey in May 2003. Saint Germain was built by Helsingør Skibs og Maskinbyggeri, Helsingør, Denmark for SNCF. She had a capacity of 36 sleeping cars and two PMVs or 36 railway wagons or 160 motor cars. As built, she had capacity for 850 passengers. Saint Germain arrived at Dunkerque on 25 July 1951 and entered service three days later on the Dunkerque – Dover route. 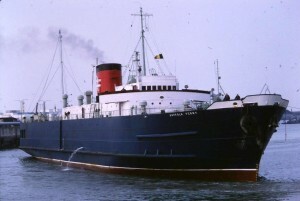 In 1976, Saint Germain was transferred to the Dunkerque – Dover route. Her passenger capacity was increased to 1,000. On 21 February 1979, she collided with the Liberian bulk carrier Artadi, killing two people and injuring four more. She was repaired at Dunkerque, returning to service operating a reduced speed. From 20 February 1985, she was used solely as a freight ferry. 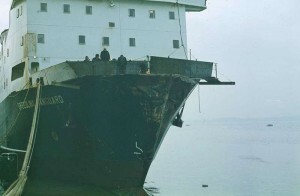 On 8 July 1987, she damaged her bow in a collision with the pier at Dover. Saint Germain was withdrawn from service on 16 May 1988. She was sold to Triton Ship Delivery, London on 21 July and renamed Germain. She arrived at Alang, India, on 11 August 1988 for scrapping. Built in 1955 by William Denny & Bros. The Maid of Kent was inserted as Freight only ferry in January 1976 for 2 weeks on the Harwich-Dunkerque service. Served until 1981 when laid up at Newhaven. Scrapped in 1982 at San Esteban de Pravia, Spain. The Speedlink Vanguard was built as the Stena Shipper in 1973 by A Vuyk & Zonen’s Scheepswerven, Amsterdam, Netherlands and launched on 16 June 1973 and completed in September. On completion, Stena Shipper was chartered to the Union Steam Ship Company of New Zealand and transferred to the New Zealand flag. She was renamed Union Wellington on 2 November 1973. The charter ended in 1975 and she returned to Europe. In 1976, she was lengthened by about 37 metres (121 ft.) by Howaldtswerke-Deutsche Werft, Kiel, West Germany. She was reflagged to West Germany on 26 January 1977 during tests after her rebuilt and was then reflagged to Greece the next day. She was chartered to Aghiris Lines, Piraeus and renamed Alpha Express. 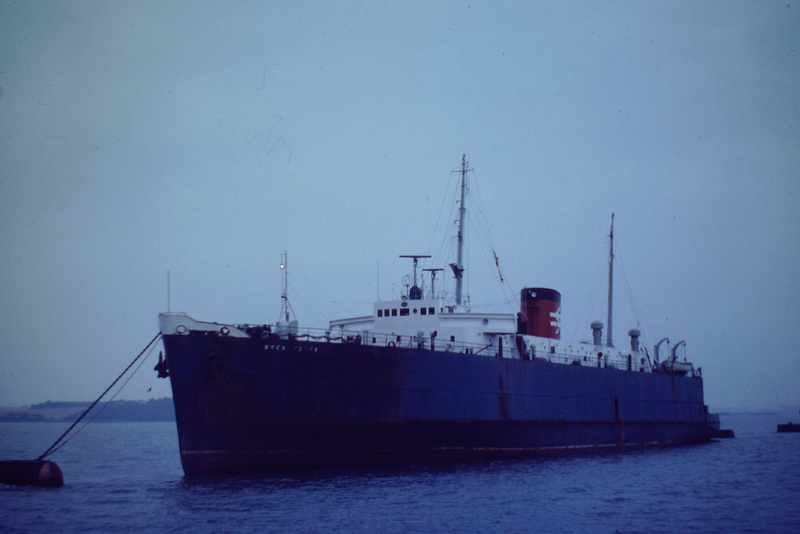 following the bankruptcy of Aghiris Lines in 1979, she was arrested at Mombasa, Kenya. In May 1981, Alpha Express was sent to Smith’s Dock, Middleborough, Tyne & Wear for conversion to a train ferry. 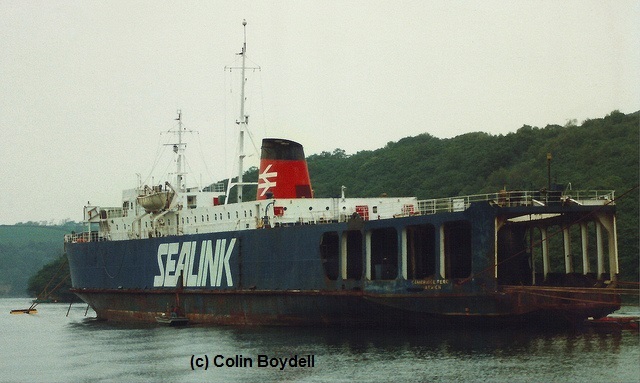 In August she was chartered to Sealink and renamed Speedlink Vanguard. She had a capacity of 56 railway wagons. Speedlink Vanguard entered service on the Harwich – Zeebrugge route on 21 August. This allowed Suffolk Ferry to be withdrawn from service and Norfolk Ferry to be placed in reserve. The tragic collision of two ferries two miles off Harwich on a clear December night in which six men dies produced massive repercussions and raised many serious question about safety at sea. 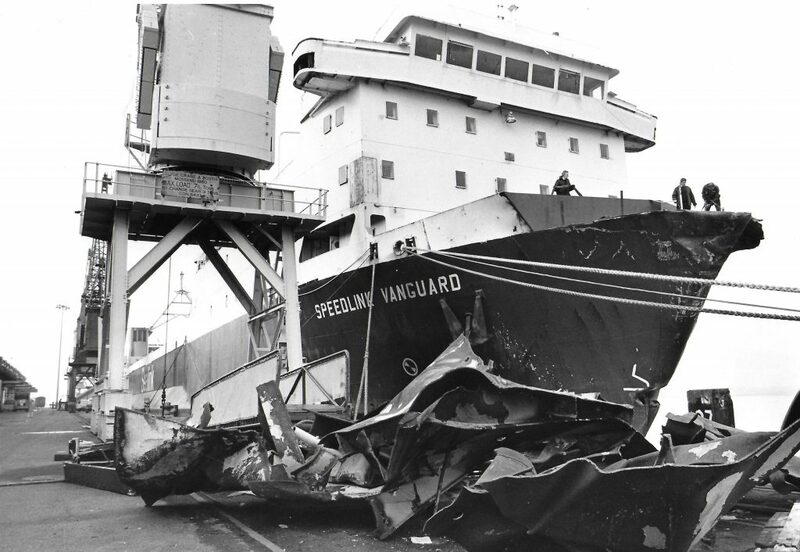 It was 10.51pm Sunday, December 19, 1982, when Sealink’s chartered train ferry, the Speedlink Vanguard, on her way back from Zeebrugge to Harwich, and Townsend Thoresen’s 4,263-ton ro-ro ferry European Gateway collided. The Vanguard’s captain, who had only taken charge the day before, had expected the other vessel to turn away to starboard: “. The Vanguard’s bulbous bows tore a 10 feet hole in the other ship’s side through which water poured. Four crew members and two lorry drivers died in the disaster while the remaining 64 people were rescued in a heroic combined operation involving pilot boats, tugs and helicopters. They were quickly supplemented by a rush of volunteers anxious to do whatever they could to rescue victims and comfort survivors. Doctors scrambled aboard launches to offer on the spot medical aid, while policemen, firemen, ambulance men, harbour officials, council officers, pressmen and the public waited shivering in the bitter cold through the early hours. In ten minutes the Gateway heeled over on her side as water poured into the stricken vessel its path made easier by open watertight doors. The Gateway, which was leaving Felixstowe for Rotterdam was eventually salvaged in a million-pound operation spanning months. The Vanguard, after first helping the rescuers, eventually limped into Harwich with her damaged bows. 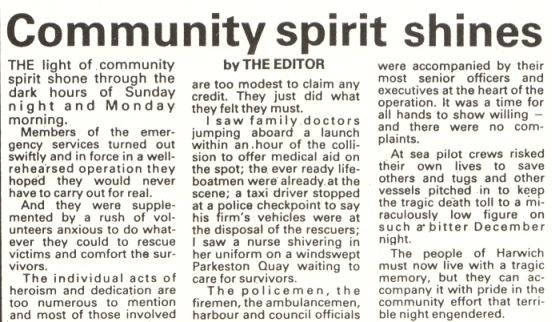 It was the first time such a civilian tragedy had occurred within the curtilage of the area governed by the Harwich Harbour Conservancy Board in one of the most accident prone areas of water around Britain. 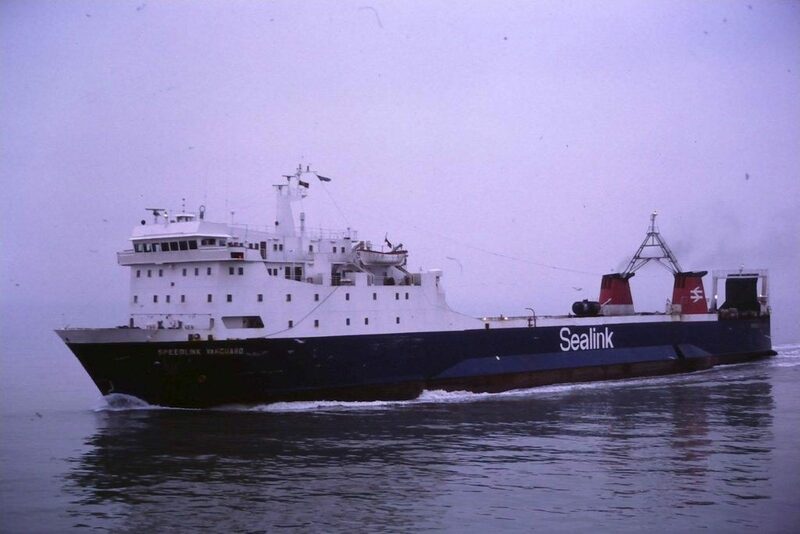 The charter to Sealink ended on 30 January 1987. Following a Court of Inquiry, the captains of both vessels were blamed for the collision. An inquest recorded an open verdict on all six victims of the accident after the jury were unable to agree on verdicts of accident, or misadventure. The people of Harwich must now live with a tragic memory, but they can accompany it with pride in the community effort that terrible night engendered. Further cost cutting feasibility studies were considered, these included Basing all train ferry traffic through one English port. Sadly on geographical grounds Harwich did not stand a chance of winning the competition.The remaining ferry services were transferred to Dover-Calais, in the hope that the channel tunnel could survive by some to transport goods that would be banned in the tunnel. In the early hours of the morning on the 28th January 1987 M.V. Speedlink Vanguard left the Train Ferry Terminal at Harwich with a full load of rail waggons. After discharging her cargo in Zeebrugge she sailed to Tyneside for dry docking before being returned to her owners. So ended over 60 years of Harwich Train Ferries, forming just a small part of the depressing decline in British shipping and British seafarers. 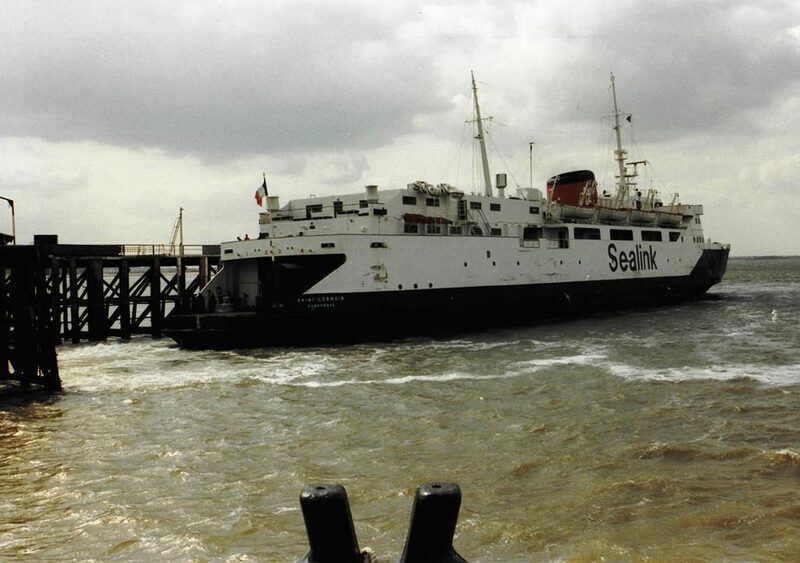 Sealink had chartered this vessel in 1980 in a brave attempt to reduce costs, no doubt realising that there was an uncertain future for train ferries operating out of Harwich. The ‘Speedlink Vanguard’ and the ‘Cambridge Ferry’ then handled all traffic between them and the three older ships were withdrawn. 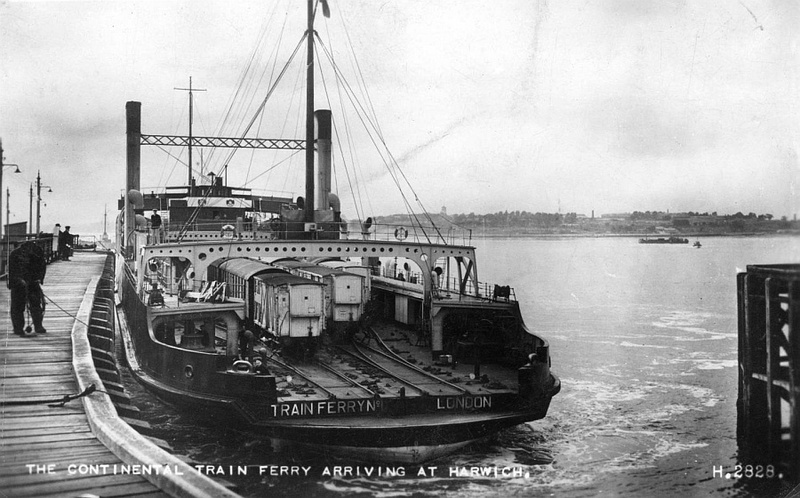 The Train Ferries were always happy ships and many crew had no wish to be transferred to the more important sisters sailing from Parkeston Quay. On the 1st of July 1987 the Department of the Environment listed the Train Ferry Terminal as grade II in the official list of Buildings of Special Architectural or Historic Interest. This was the end of an era, which had begun so optimistically in 1924 and continued for 63 years before new technology and geographical conditions meant that the service was no longer viable. 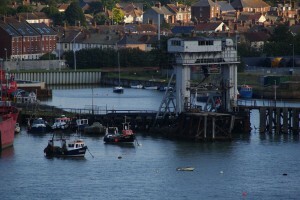 The infrastructure, including the wooden berth and the link span bridge are still in place, but have not been used since 1987. The Train Ferry Terminal is dead, but won’t lie down. Click the “image” to start the gallery slide show. Derek Sands, Kevin Hoggett,Tony Henwood, Phil Cowley & The Harwich Society.